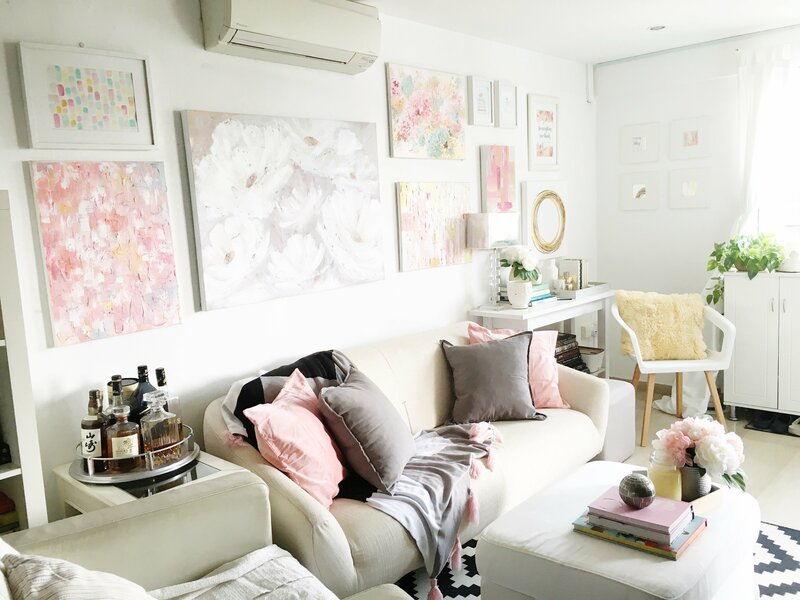 Having an all-white living room is just like having a blank canvas. 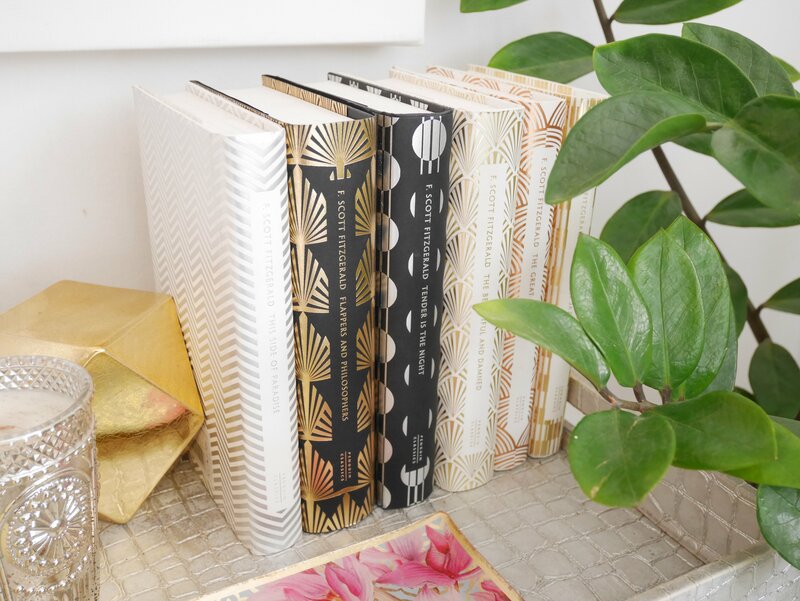 The opportunities are endless — you can play with colorful accessories if you want to liven it up, or keep it really minimalist and not add anything at all. Black and white everything! But then I bought this gorgeous pink and grey throw that you see on the sofa above. It inspired me to do another round of redecorating, and a bit of rearranging too. The console was moved over to the right side, which faces the front door, so it sort of welcomes guests. The bookcase was switched over to the left side. This single furniture switch gave it gave a very spacious feel as you enter the front door. 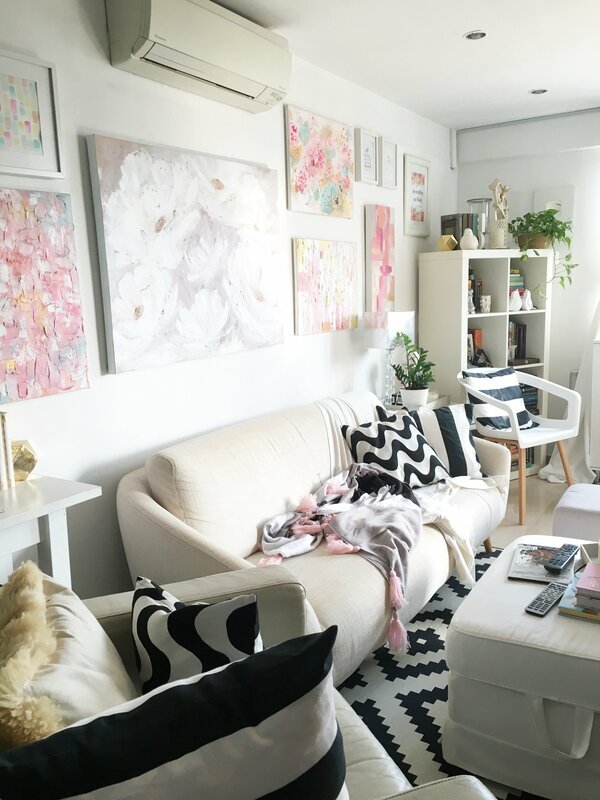 I changed the throw pillow covers to matching grey and pink too, and while we didn’t change the rug, I think the geometric black and white pattern gives it a solid base. The space needed some greenery so I placed the ZZ plant in the corner. That letter opener is a replica of Sting, Bilbo’s sword. (Yes, we are a family of geeks, so you can find touches of it everywhere.) 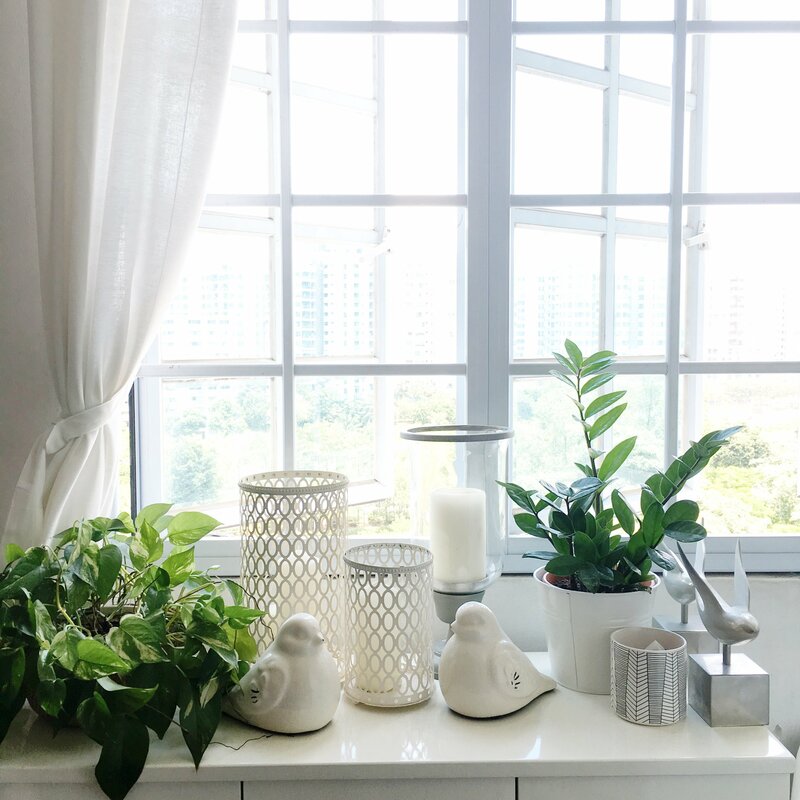 There is no way I can have fresh peonies delivered every week here in Singapore so I found a great alternative in these pretty fabric versions from Spotlight. That lampshade really needs replacing though, I think it’s about to say goodbye any time soon. I have had many futile attempts to turn myself into a green thumb, but I am proud to say that I’m slowly succeeding! Live plants, people! And these have survived for over a year now. Woohoo! Those chrome birds hold umbrellas. This is actually the shoe cabinet and it’s situated beside the front door so it’s also the first stop before and after going out. That’s a copper charger that I bought at Crate and Barrel. I’m using it as a tray for the ottoman/coffee table. When you have kids, an ottoman really makes so much more sense. Less chances of anyone getting hurt by bumping into hard/sharp corners. 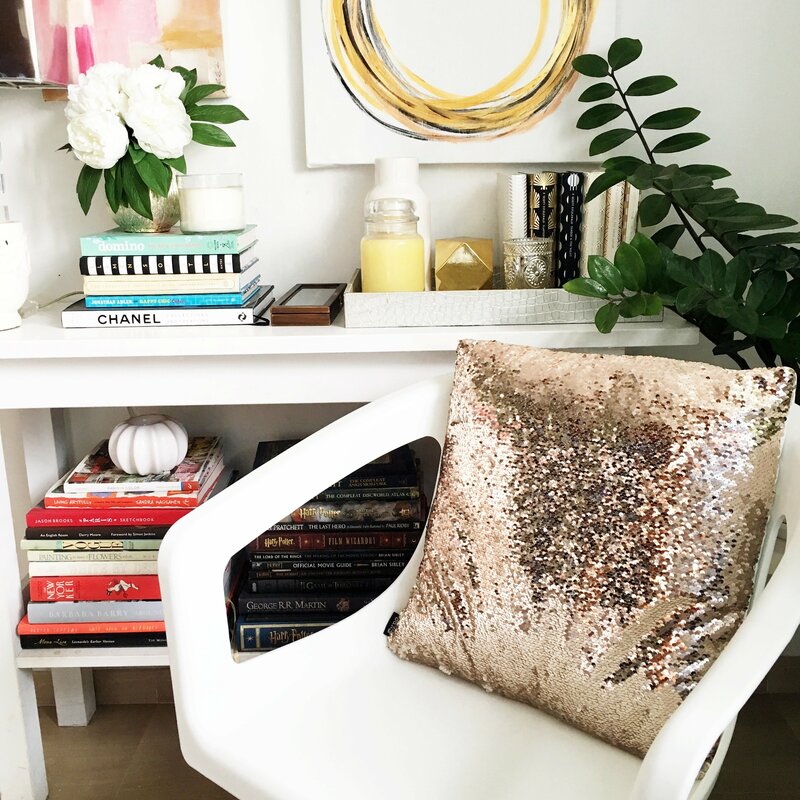 I found this rose gold glittery pillow from Typo by Cotton On a week later! Eeeeeek! I love it so much! Have a plan. 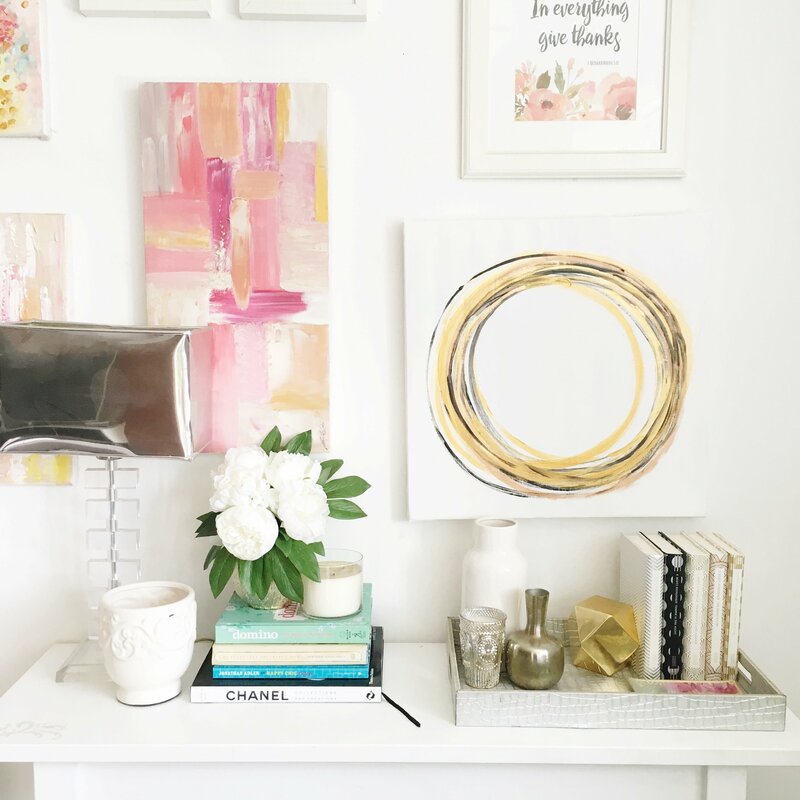 Yes, don’t just go at it without having at least an idea in your mind of how you want it to look, particularly if you plan on moving huge pieces of furniture. 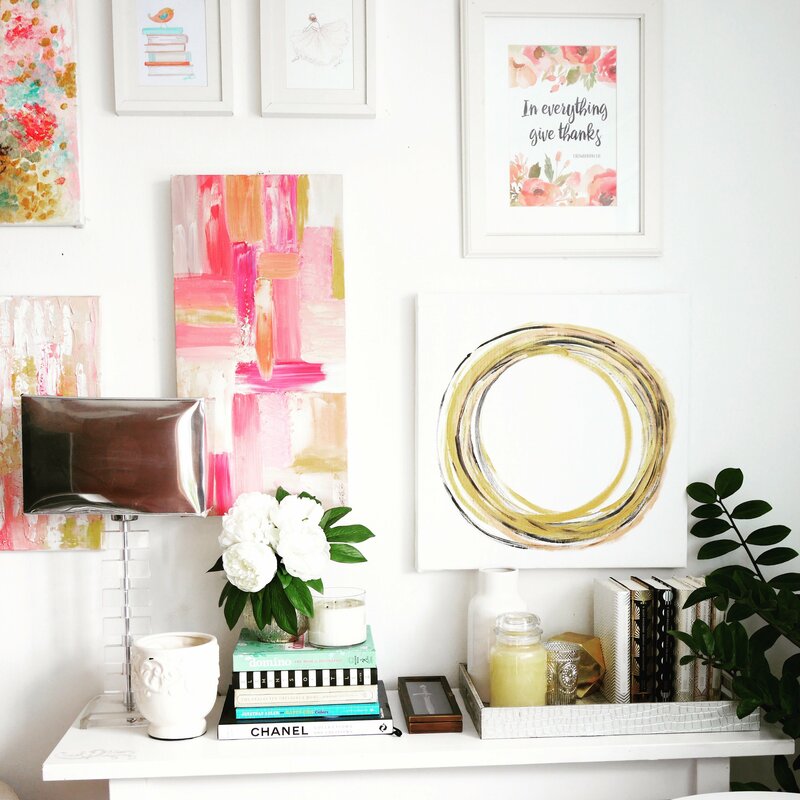 If you’re working with a limited budget, redecorate using accessories like cushion covers, throws, and the like. Use what you already own. 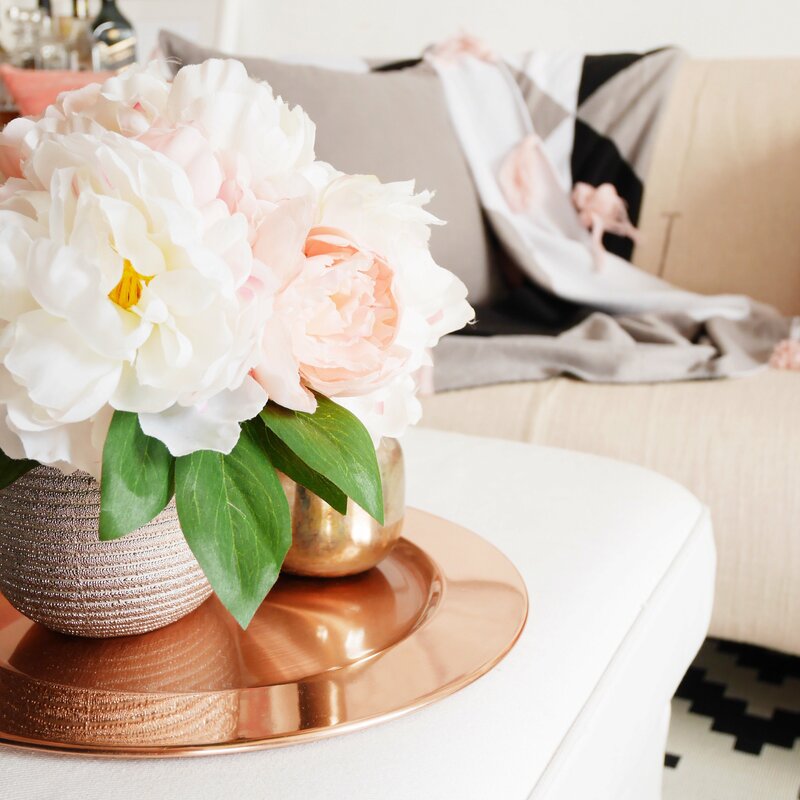 Simply rearranging the furniture will give you a whole new look. Plus, it gives you the chance to thoroughly clean the spaces behind them. Make room for serendipity. Sometimes the inspiration comes from a single shopping find.